Governing Magazine’s Lou Jacobson has a new piece that takes a look at Secretary of State races in 2011 and 2012. I think he gets the tenor of the job mostly right, acknowledging the belief in some political circles that capturing the Secretary’s office will aid a party’s electoral chances but then acknowledging that, in reality, their impact is somewhat overrated. Jacobson then goes on, as few others can, to lay out the likely matchups in those states that will (re)elect Secretaries this year and next. Even if their status as political players is in doubt, Secretaries of State are still incredibly interesting to me because of how much the job has changed in the last decade. Secretaries of state have long been key players in election administration, but their role was far less prominent; indeed, many secretaries pre-2000 would have been all but anonymous but for the occasional election litigation bearing their names, e.g., Growe v. Emison, 507 U.S. 25 (1993) (redistricting case involving Minnesota Secretary Joan Growe), Eu v. S.F. Cty. Democratic Cent. Comm., 489 U.S. 214 (1989) (party endorsements case involving California Secretary March Fong Eu); Baker v. Carr, 369 U.S. 186 (1962) (malapportionment/political question case involving Tennessee Secretary Joe Carr). 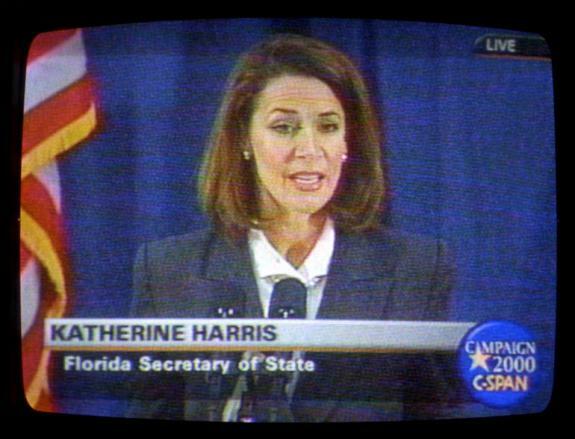 Of course, that all changed in 2000, when a combustible recipe of butterfly ballots, hanging chads, and a razor-thin presidential race thrust Florida’s Secretary of State Katherine Harris into the spotlight as the face of the crisis facing the Sunshine State and the nation. In the immediate aftermath, secretaries became prominent voices in the election reform, led by Arkansas’ Sharon Priest, then-president of the heretofore largely unknown National Association of Secretaries of State (NASS). Secretaries’ importance continued to be magnified as the decade progressed. Congress’ enactment of the Help America Vote Act (HAVA) of 2002 gave state officials federal funding for a series of election administration mandates and tasked them with responsibility to see that they were implemented properly and on time. As the spotlight shone ever brighter, secretaries found themselves at the center of fierce and difficult debates about how the post-HAVA election world would work. No decision, it seemed–whether about voting technology, registration procedures, or voter identification–was too small to escape public (or at least media) notice. First, the job [that Secretary of State became post-HAVA] is rapidly disappearing. The federal government has almost completely abandoned the role it appeared to establish with HAVA’s passage; years of congressional underfunding and lackluster guidance from Washington have left states–and especially secretaries–with mounting costs and dwindling federal dollars. Local officials, who appeared to have been taken down a peg with HAVA’s endorsement of a stronger state role in election administration, are now clashing with (or simply ignoring) secretaries of state as they decide how to proceed with decisions about voting technology, election procedures, and other aspects of the electoral process. More than ever, secretaries are confronting once again the problem of how to exercise responsibility for election administration without an accompanying level of authority to make their decisions stick. Second, the job of Secretary has proven to be a slippery political stepping stone at best. In the end, only two of the sitting secretaries of state who were candidates for higher state or federal office in 2010 succeeded. What all of this means, I think, is that Secretaries of State are still highly influential – but in a substantive election role more than as political figures. Sometimes their background gives them a higher statewide or national profile: Ohio’s Jon Husted gets attention because the Buckeye State is such a battleground but also because of his tenure in the state legislature, including service as Speaker of the State House, while Kansas’ Kris Kobach’s influence stems from his record as an academic and advocate in the field of immigration and election integrity. But these are unique to the individual, not inherent in the job. Governing’s Jacobson gets it right when he suggests that Secretaries aren’t the political players that many insiders think they are. In the world of election administration, though, Secretaries of State are still a big deal – even if it is a big job with which to deal. Previous: New North Dakota Data from Pew Asks: What Does the “Cost of Elections” Mean? Be the first to comment on "Secretaries of State: Still Important After the Glory Years"